Tablets absolutely stole the show at CES 2011. Just about every company had one. While the idea of a tablet may sound exciting, the majority of these were unfortunately poorly put together Android tablets. I shouldn’t discredit premium tablets such as the Dell Streak 7, the Samsung Galaxy Tab, and the Motorola Xoom, but the rest were an utter disaster. It felt as though some companies had merely glued a screen, a battery back, a processor, and some memory together and loaded Android onto it thinking it would sell. 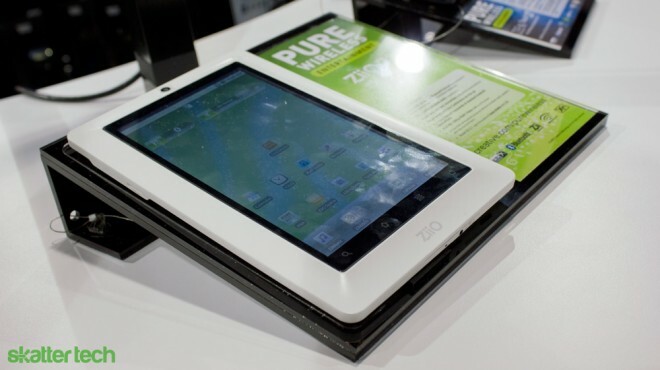 Aside from a few brand-name tablets, the majority on the show floor were still running Android 2.0, 2.1, or 2.2. While those versions of Android aren’t necessarily bad, the OS was built for a phone unlike the upcoming tablet-optimized Honeycomb 3.0 which offers significant improvements. That caveat alone is the first reason not to buy a cheap Android tablet. The next major issue I noticed was the lack of the official Google Marketplace on these tablets. Just about every company we ran into on the show floor, including Creative, admitted that their Android device was not yet approved for access to the Marketplace. Although most company spokespersons seemed optimistic that their device would get approved, I would not be surprised if it did not. There are many alternative ways to download Android apps, but the lack of an official central store makes for a confusing experience. I can only image customers buying an Android tablet and wondering why they can not access the Marketplace when their friends with a Galaxy Tab or Xoom can. When I said the word “glued” to describe the build quality, I wasn’t kidding. Most of these tablets had cheap brittle plastic frames. Even an Etch-A-Sketch seems more durable in comparison to a few of these. On the other hand, the Apple iPad is a perfect mix of design and engineering. As for the software, people who end up with one of these will immediately realize that just because something runs on Android does not mean it is a quality product. The displays on these tablets looked horrible and the touch screens were incredibly unresponsive. Simply trying to drag down the notable Android notification bar or open the App drawer would take several attempts, often resulting in a crash. At this rate, I would not be surprised if fast-food joints began selling their own Android tablets. I was honestly disgusted and frustrated to see the number of poorly designed offerings. I began to feel as though that these will truly hurt the Android brand. It was also more apparent than ever that these cheaper tablets, which probably do not follow Google’s guidelines, will further fragment the Android market. This issue annoys both companies and developers since it takes often takes extra code to ensure compatibility with each device. While some of those concerns are valid, I soon realized that these issues probably won’t pose too much of an issue in the long run. The majority of consumers will always purchase tablets from reputable companies. For instance, there are thousands of MP3 players on the market, but most people buy the famous Apple iPod. Also, take a look at Microsoft’s famous Windows operating system. There are many high-end laptops and desktops available from companies like Dell Alienware, however there are an uncountable number of Windows machines from obscure companies. Some people will buy cheaper alternatives and some of those buyers will likely face odd software or hardware issues with their device. However those buyers only account for a small percentage of the Windows machines sold each year. Looking forward, it is clear that companies such as Motorola and Samsung will only further accelerate innovation to distinguish their tablets from the cheaper alternatives. In addition, tablets tied to cellular contracts will almost always be of quality since carriers like Verizon put devices through rigorous testing before offering them to customers. As price points continue to drop and Google’s mobile OS continues to improve, I believe Android will eventually dominate the tablet market. As for the cheaper alternatives, there will always be a market for them, but you don’t have to buy one. Overall, the best tablet (from stability a standpoint) shown was the Playbook. The Xoom software looked like it was still very unfinished with the “demos” simply showing a video of what it will do when ready to ship;-( The Reps could almost predict when the Zoom would crash and move it away from view of any video cameras. The Playbook was actually running Quake, 1080P video and several apps simultaneously in multiple windows on the screen at once and seemed pretty darn stable. Pretty darn cool. I think it too bad you use a picture of the Viewpad 7 to illustrate this article. It’s a decent device. Granted it’s not the fastest, but it’s well built and gets the job done without hassle. I’ve modified mine with Launcher Pro, which improves the experience a lot. 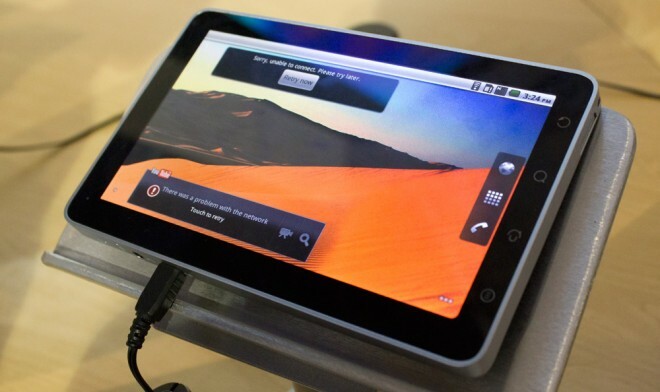 I agree that there is too many crap-tablets out there, but the Viewpad 7 isn’t one of them…in my opinion anyway.